Dreaming of the perfect everyday escape? Whether it’s relaxing on a peaceful, shade-covered porch or enjoying the welcome hustle and bustle of friends and family, Drees Homes has you covered. Drees Homes offers their spacious, inspired floor plans at The Woodlands, the new gated neighborhood at Shearwater, Freehold Communities’ new master-planned community in St. Johns County. The Woodlands officially opens on May 20. The Westgate, one of the many floor plans offered by Drees Homes at The Woodlands, offers a new take on traditional Craftsman style with details that make the home particularly well-suited for today’s lifestyles. This single-story design features four bedrooms, three-and-a-half bathrooms and a roomy three-car garage. The open concept floor plan, large windows and expansive covered porch allow you to bring the outdoors in. Plus, the bonus room and study can easily be adapted into a nursery, gameroom or craft room, allowing your home to change as your family grows. With both a covered front and back porch, you’ll always have a cozy place to spend some time outdoors, chatting with neighbors or watching the sunset. The breakfast room and gourmet kitchen, featuring a centrally located kitchen island and spacious pantry, make big family breakfasts and entertaining easy. After a long day, the luxurious owners’ suite makes it easy to unwind and relax in the garden tub or optional extra-large walk-in shower. Plus, with options like an additional bedroom, extended covered patio or family-ready room with extra storage space, you can create a home to fit you. 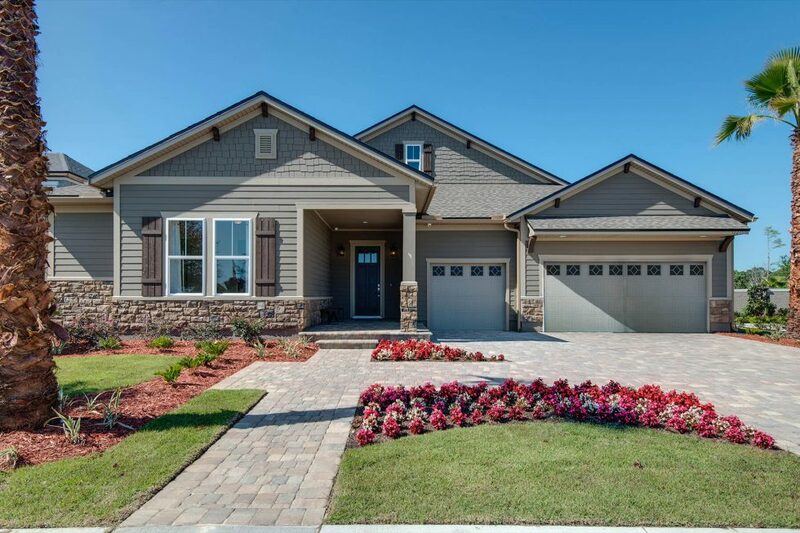 Homes by Drees Homes at Shearwater are approximately 2,850-4,000 square feet and start in the $400,000s. They offer three to four bedrooms and two to three bathrooms and are situated on 80-foot lots. Family-owned and operated for nearly 90 years, Drees Homes consistently receives national and regional industry recognition for quality and excellence. Their emphasis is on building your home, your way. Plus, with their DreeSmart Innovations, these homes score an average of 65-70 points better on their HERS Score, delivering nearly 50% more energy savings over typical existing homes. Join us on May 20, from 11 am – 3 pm, for the Grand Opening of The Woodlands, where D.S. Ware Homes is also building. Other builders at Shearwater include David Weekley Homes, Lennar, Richmond American Homes and MasterCraft Builder Group.